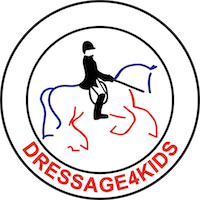 The Christian Meriwether Kennedy Memorial Fund was established with Dressage4Kids to support Dressage4Kids' mission to develop youth riders through training that promotes horsemastership, riding, sportsmanship, education, and fun. Christian's legacy is one of love: love for the horse, a spirit of love and respect between trainer and rider, and love and understanding that builds a bridge between the rider, the trainer, and parents. As a young rider, Christian was known for his patience, his kindness, his horsemanship, and his joie de vivre. Dressage4Kids, his family, and the equestrian community have chosen to remember Christian through programs and scholarships that reflect and recognize his own understanding that horsemanship means much more than simply riding. Although Christian's strengths and intellect led him into dressage, he loved jumping and eventing and even went fox hunting with his mother. Christian's riding ability and work ethic made it possible for him to work in top national programs. In early 2017, he was awarded one of four national scholarships to train with Robert Dover, Chef d'equips of the US Olympic Team. Robert has since renamed that particular scholarship in Christian's honor. Christian, his family, Lendon Gray, and other leaders in the sport have long felt that riding should be more accessible to all kids who are willing to work hard. His legacy will include not only scholarships for gifted athletes, but also support for programs that help democratize the sport and help train, from the grassroots, American riders who are competitive internationally. Specific scholarship opportunities will be announced with a deadline for applications. However, open requests may be submitted to the committee at any time during the year and will be considered based on need and available funds. Awards are for specific educational expenses such as seminars, workshops, clinics, lessons, and training programs. 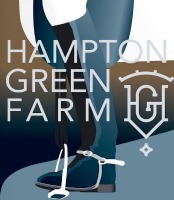 Applicants must state specific objectives, a defined beginning and end, and the request must be for the specific purpose of advancing the individual’s horsemanship skills, knowledge, or experience. All applicants must be actively pursuing a specific goal, and be able to demonstrate ability commensurate with stated objectives. All recipients are expected to give back to D4K programs in some way. Riders can volunteer their time and/or expertise to benefit or enhance Dressage4Kids programs as a whole. Examples include assisting with D4K programs, organizing a clinic or a fundraising event, judging, writing an article or a blog, and/or mentoring new D4K riders. Scholarship recipients are required to write a report or story about their experience in the form of a letter, journal, blog, or diary. Photographs may be included. The report will be kept by the Committee, shared with local organizations if applicable, and may be used for publicity purposes to advance the overall awards program.